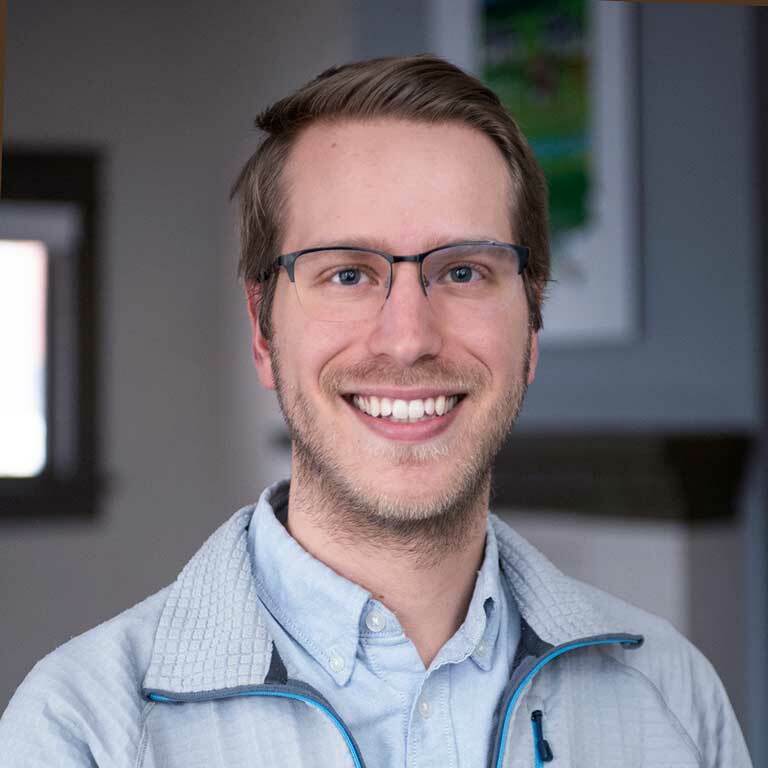 Matthew Houser’s research is driven by the desire to understand what motivates human behaviors affecting the environment and how information is received and used to shape environmental decision making. With a focus on agriculture, he examines how people are responding to climate change in Indiana and beyond. His primary goal at the Environmental Resilience Institute (ERI) is to identify environmental policies that would benefit the state and be readily supported by its residents. Areas of concern for management include drought, flooding, extreme temperatures, and increased prevalence of disease-carrying ticks and mosquitos. To understand Hoosier attitudes toward these threats, he is collaborating with other ERI researchers on the new Hoosier Social-Environmental Survey. This project will gather information on the attitudes, priorities, and preferred interventions of people in seven distinct regions across the state: Industrial Northwest, Corn/Soy Belt, the Wabash Valley Towns and Cities, Greater Indianapolis, Whitewater Valley, Ohio River Valley Towns, and the Southern Hill Country. The study’s findings will be presented to mayors as well as state policymakers to indicate which climate change mitigation strategies can be both effective and feasible in light of constituent beliefs. Houser is also involved in a similar, ongoing survey of farmers in Indiana, Illinois, Ohio, and Michigan as well as a study of flood adaptation among farmers in the Lower Wabash watershed. His findings to date indicate that while farmers are generally skeptical of the evidence that humans have contributed to climate change, they are increasingly aware that climate change is occurring and are highly motivated to protect their farms from its impacts. Unfortunately, some responses that mitigate climate change effects in the short term can exacerbate environmental problems over time. For example, heavy rains can wash away nitrogen fertilizers that farmers apply to crops. Because these fertilizers are the top contributors to agricultural greenhouse gas emissions, the common response of applying additional amounts of nitrogen contributes to further climate change. In contrast, the alternative strategy of planting cover crops after the growing season can aid water retention in soils while also reducing nitrogen runoff and associated emissions. This approach, however, is more time intensive, often more expensive, and perceived by farmers to be less certain to assure profitable crop yields. A key objective of Houser’s research is to determine how best to encourage and enable the adoption of such environmentally responsible agricultural strategies without alienating farmers who may possess a strong conservation ethic but are often under financial stress and unconvinced of the science attributing climate change to human activity.